Mahmoud Mostafa is an Egyptian  Washington DC based journalist who works for the Middle East Broadcasting Networks. 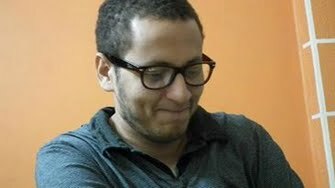 He previously worked for the Daily News Egypt, Al-Shorouk, Youm7 and other prominent publications. An analysis of an upcoming change in the functionality of the multinational forces in Sinai. The report was a followup on a previous news piece done by me. A case that was claimed as extrajudicial killing by security forces in Egypt. I got to be first in Egypt to reveal tje details mentioned in this report through talking to eyewitnesses and informed sources.